Linkin Park saved my life. I attempted suicide at 14, and the gnawing feeling to try again did not subside easily. I've lived with depression for the last 20 years. It was extremely hard to find the words for most of my life that could reveal the pain I was in daily. Especially during my youngest years, the inability to express to the people that caused me harm or how I truly felt left me so distraught. Until I first heard "One Step Closer" while watching TRL on a fateful spring day in 2000. I stood still and absorbed every moment of this small man with a loud, powerful voice, describe every single negative thought I had in my mind at that moment. Chester Bennington became my weapon against my darkness. Between Hybrid Theory and Meteora, the civil unrest that lurked deep in my soul finally had a voice. For so many years, the demons that rattled loudly in my mind quieted the moment I sung the lyrics to "Crawling" or "Somewhere I Belong." Chester's voice just spoke every possible variant of sadness, anger, desperation, and loneliness that came along when I was held captive by depression. 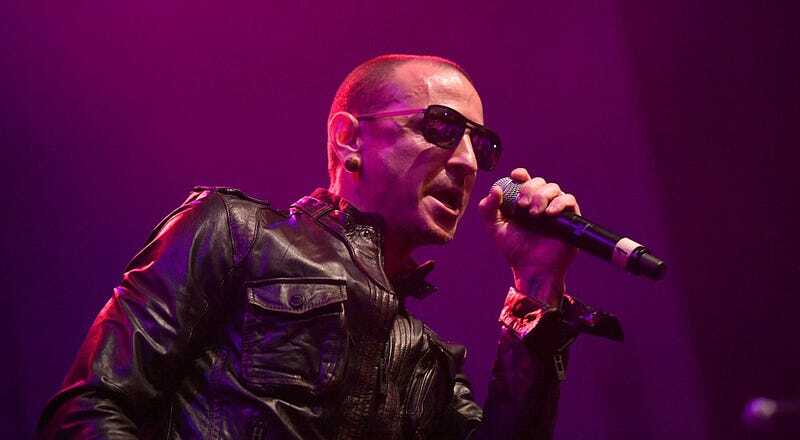 Everything mattered from the guitar riffs, the beats, and lyrical tone, but Chester's voice had ability to jump from rage to somberness in a manner that seemed unnatural when I was trying to purge all the negativity inside me. I knew just by listening to Chester that he had been where I'd been. Want to break everything around you? Damn sure will while listening to "Faint." Feeling detached from the world? There's no way "Numb" doesn't speak to you. A kindred connection was created when I listened to those first two Linkin Park albums. I am alive today partially because Chester spoke to my soul in a way no other human being could. So to know he has committed suicide at 41 years-old is a reminder to me that just because someone provides the opportunity for you to battle your demons does not mean they were just as successful. The thing about depression is it can defy the rules of life. It does not have to make sense. All that is required are those moments of self-doubt. Painful memories. Thoughts of being inadequate. Feelings caused by being ignored, outcasted, diminished, abused in any manner, losing loved ones or being introduced to death at some point. That's when the voices start speaking, consuming every positive notion you can muster and dragging you down slowly, like quick sand. Depression is literally a stalker, waiting for the right moment to strike. It's easy to assume that being famous and rich should have changed Chester's outlook on life. That does not mean the work necessary to repair the void Chester may have had was complete. Material wealth and life-changing experiences do not guarantee happiness. They can add to it for sure, but nothing is promised. Especially for people who voiced the emotions that a whole generation could relate to. Ask Kurt Cobain. Ask Robin Williams. Ask Chris Cornell. Ask Amy Winehouse — who did not commit suicide but had an uncanny ability to sing about pain. They all provided solace to millions who did not have the means to express the voicelessness residing deep within, and yet these celebrities could not defy how much their own pain was corroding their pursuit of happiness. I wish Chester peace. I wish that now his soul can rest. I wish for his pain to finally be released. Joel Philip is 30-something from the land of bullets and blueberry muffins known as Brooklyn, N.Y. He specializes in being awkward, daydreams of being Mr. Robot and tries to live the theme of Toy Story 3 every day of his life.